MISSING: FEMALE CAT IN BENNETTSBRIDGE AREA CO. KILKENNY. MISSING: FEMALE CAT IN BENNETTSBRIDGE AREA CO. KILKENNY. 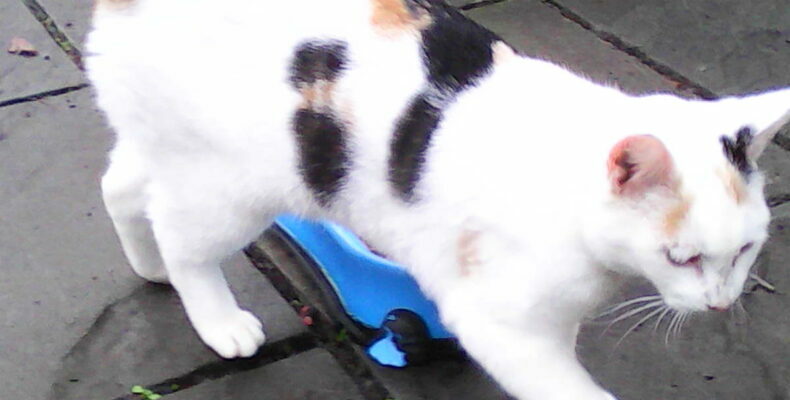 Female 1.5y/o female cat – predominantly white with black & ginger spots missing from Furzehouse area of Bennettsbridge since Tuesday November 6th last. Please share. Any information please message or phone Kilkenny SPCA @ 056-7771635. Ref: 271320.